Once the domain of Silicon Valley startups, these automated investment services — which rely on computer algorithms to invest client assets — are increasingly being offered by traditional financial players like Fidelity. Last year, total assets managed by robos hit $222 billion, which was more than double from the prior year. Yet despite this growth, robos still collectively control less than one-third of the assets of a single mutual fund — Vanguard Total Stock Market Index. “When you say robo-advisor, people don’t necessarily understand,” says David Goldstone, a research analyst for the Robo Report, which tracks robo-advisor performance. “Often people think of accounts being traded frequently, algorithms that are driving trading strategies — and that’s not really the case.” For the most part, he says, robos offer managed accounts that consist largely of low-cost index mutual and exchange-traded funds (ETFs). The perception of robos is likely to evolve now that a majority of the startups have faded from the scene, and traditional financial services providers such as Fidelity and Morgan Stanley are setting up their own robo-advisory platforms. More are coming, with JPMorgan Chase and Goldman Sachs expected to roll out their own robo offerings later this year. Many services now offer comprehensive financial planning — complete with access to human advisors at times. These hybrid advisors include Vanguard Personal Advisor Services and Personal Capital. Portfolio strategies are evolving too. Many offer tax-efficient approaches, including tax-loss harvesting, where securities that are down will be sold to offset capital gains elsewhere in your portfolio. A number of robos, including Betterment and Morgan Stanley, have introduced socially responsible investing options. Ellevest has rolled out an entire portfolio focused on stocks that positively impact women in the workplace. These services are still available for a relatively low cost. Typically, wealthy clients pay human advisors 1% to 2% of their investable assets annually for managing their portfolios (last year, the average fee for a new account with a human advisor was 1.04%, according to consultants PriceMetrix). With robo-advisors, by contrast, investors can start with as little as a dollar — and the average management fee is roughly a third of traditional human advisors, just 0.36%, according to MONEY’s analysis. Some platforms like WiseBanyan and Schwab Intelligent Portfolios don’t even charge a fee at all; they simply pass along the underlying cost of the funds used. The low price, proliferation of companies in the space, and growing capabilities have helped push investors toward these platforms. Yet finding the right automated platform can still be difficult. 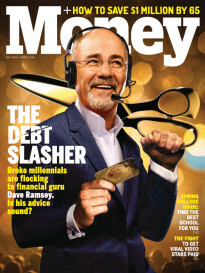 MONEY paid particularly close attention to the fees each robo charged (looking for lower-than-average costs where possible) and the services offered (making sure the offerings were sufficiently rich and broad to meet the needs of target clients, be they savers just starting out or high-net-worth households with more complicated finances). And where possible, we wanted to find robos that have met or exceeded the performance of the broad market. So whether you’re looking to open a small account to test these platforms out for the first time or you’re a seasoned investor looking for comprehensive retirement strategies and advice, read on to see which robo-advisors made the cut — and which are right for you. If you’re just starting to build your retirement savings, you’ll want a robo-advisor with low minimums to open an account. You’ll also want access to essential accounts such as traditional and Roth IRAs, and auto-deposit capabilities to help you put your savings on autopilot. Why it wins: Betterment helps newbies build a solid foundation for saving and investing. For example, the platform allows you to invest in fractional shares of stocks, so you can put every penny to work immediately, rather than having to wait until you can buy a full share of a security. This is helpful if you don’t have a lot saved upfront. Yet Betterment offers enough sophisticated services—such as tools to save on taxes or run a portfolio analysis across all your accounts, even those held at other companies—so you can stick with the platform as your financial needs mature. And to deliver financial strategies and advice to you, Betterment utilizes both technology and a human touch. Caveats: Betterment levies a management fee on top of the fees your funds charge, making it slightly pricier than some robos. If you’re looking for the absolute cheapest basic option, check out WiseBanyan. It may not have all the bells and whistles of Betterment, but it will set you up with a balanced strategy and automatically rebalance your portfolio as the market fluctuates over time. Added services will cost you, though — in some cases more than what you’d pay at Betterment. For example, a beginning investor would pay 0.12% “all in” for WiseBanyan’s basic service. But tax-loss harvesting available via WiseBanyan’s Tax Protection Package is an added 0.24%. And the ability to create custom portfolios would add $3 per month. • Human advice: Licensed advisors are available to answer simple questions via chat or phone. The more complex your financial needs, the more you’re likely to need — and want — human help. That’s where a “hybrid robo-advisor” can be beneficial. The best hybrid robos will also offer both retirement and taxable accounts, complete with tax-efficient strategies and analysis of outside accounts like 401(k)s so investors can get a comprehensive picture of their total wealth. Why it wins: Schwab seriously upped its game in the robo space when it introduced Intelligent Advisory — a major step up from its original, fully automated Intelligent Portfolios platform. The new premium service offers access to investment management and comprehensive planning delivered by certified financial planners (CFPs) who are available six days a week (customer service is available 24/7). And planner help is available from the get-go: An initial planning call or video chat generally lasts an hour and guides investors through the “onboarding” process. Follow-up meetings can easily be scheduled through the online booking system. Schwab Intelligent Advisory does require a $25,000 investment to start. But the management fee is only 0.28% of assets a year. Once you factor in the average costs for the underlying funds, the all-in cost is 0.43%. To ensure that fees remain reasonable, Schwab caps the costs at a maximum of $900 a quarter. Caveats: If you’re looking to minimize your tax bills, you’ll need to have at least $50,000 with Schwab in order to qualify for tax-loss harvesting services. In the past, Schwab’s robo offering has also been criticized for holding more of its clients’ assets in cash, on average, than some of its peers. While that cash cushion helped Schwab’s portfolios hold up during the first-quarter market rockiness, higher cash stakes can create a drag on an investor’s portfolio, Goldstone says. • Human advice: Certified financial planners are available for initial onboarding, and investors can schedule an unlimited number of appointments via phone or web chat. Once you’ve built substantial retirement savings, say $250,000, you’ll need to ensure you’re investing right and planning for the long term. Several advanced hybrid robo-advisors offer access to human advisors who give holistic recommendations on all your savings—no matter where the accounts are. At this point, you should also be searching for an advisor with a wide array of investment options, beyond just funds and ETFs. Why it wins: Though it charges average all-in fees of just 0.38%, Vanguard’s hybrid platform emphasizes establishing a relationship with a human advisor. It’s also capable of handling complex investments and retirement strategies for both pre-retirees and retirees. For instance, Vanguard lets you invest in individual bonds and offers tax-free muni bond portfolios to reduce taxes. Vanguard Personal Advisor is one of the few robos capable of providing income drawdown strategies for investors already in retirement. And Vanguard offers a suite of tools for retirement planners such as Social Security optimization, which shows when to tap your benefits and how to defer — and what the tradeoffs are with each option. You can also get access to a dynamic spending tool that can analyze market trends to calculate the best time to spend. All of these outcomes are then incorporated into clients’ comprehensive financial plan. Caveats: Vanguard’s platform is very basic, without a lot of the interactive charts and digital tools that come with technology-first robos like Betterment. For instance, tax-loss harvesting is not automated by algorithm but rather done on a client-by-client basis through the advice of the financial advisor. • Human advice: A certified financial planner is assigned to you and is available for initial onboarding and an unlimited number of ongoing appointments via phone or web chat. To find the right robo-advisor for you, there are a few basic things you need to know. For instance, how much money do you have to bring to the table? How much human help is available to you if you need more than digital assistance? What are the tools and services each robo-advisory offers to address your specific needs? And finally, how much does it cost, a question that everyone — regardless of what stage they’re at as investors — needs to ask. For all the robo advisors that met MONEY’s size threshold and answered questions about fees and features, the details are here. Formerly TradeKing Advisors, Ally’s rebranded robo-platform offers integration with the banking features found at Ally.com. This robo-advisor does not manage its own proprietary funds, making its investment recommendations more independent. Human advice: Unlimited text- or phone-based access to a certified financial planner (CFP) to answer questions and engage in financial goal planning. Betterment’s Premium platform allows for unlimited one-on-one access to a financial advisor as well as access to its “flexible portfolios” tool to adjust the percentage of your money invested in any particular ETF. Human advice: Financial counselors available via email or text for simple questions. Like all Ellevest platforms, this offers a unique algorithm that adjusts portfolios based on women’s income trends and life cycles. The platforms also invest in companies driving social and economic change by empowering women. Human advice: Team of financial advisors available to answer questions via phone, text, or email. Ellevest Premium clients can access certified financial planners, as well as personalized career coaching to help with gender-pay-gap issues such as negotiating a raise and compensation package. Human advice: Video-chat or phone-based access to a dedicated certified financial planner to answer questions and engage in financial planning goals. For high-net-worth investors, Ellevest offers a bespoke service with a dedicated wealth manager and personalized investment options that align with clients’ social values. Human advice: Team of advisors available to answer simple questions via phone. The individual investments in E*Trade’s portfolio are chosen by the investment strategy team at E*Trade Capital Management. Human advice: None directly attached to Fidelity Go, but Fidelity Go customers enjoy the full advice offerings available to all Fidelity clients through phone or chat or at investor centers. Investments are managed by the Fidelity Go team. In April, the underlying funds were changed to Fidelity Flex Funds, actively and passively managed portfolios with zero expense ratios. The Flex Funds are available only to certain fee-based accounts offered by Fidelity, like Fidelity Go. Human advice: Team of advisors available to answer questions via phone or email. Basic robo-advisor, but the accounts are not held by FutureAdvisor. Instead, they are held at Fidelity or TD Ameritrade. Offers a range of investments, including Bitcoin, REITs, precious-metal ETFs, and venture capital opportunities. Human advice: Ask an advisor general questions by phone, email, or in person. Clients with at least $20,000 get customized advice via a separate team of advisors. The investment plan is directed by strategists (at Merrill’s Global Wealth and Investment Management Chief Investment Office) rather than by algorithm. Offers clients the ability to devote a portion of their portfolio to an investment theme such as sustainability or gender diversity. Human advice: In-person, video-chat or phone-based access to a team of licensed financial advisors to answer questions and engage in goal planning. Clients have access to customized portfolios that offer exposure to individual stocks and socially responsible strategies. Personal Capital also offers a “smart weighting” approach that emphasizes economic diversification and risk-adjusted returns. Human advice: Video-chat or phone-based access to a dedicated licensed financial advisor and qualified client service representative to answer questions and help with planning financial goals. This robo specializes in retirement accounts, relying on low-cost exchange-traded funds that track major indexes. Schwab doesn’t charge a management fee, although the service does have higher allocations of cash. Human advice: Video-chat or phone-based access to a team of licensed financial advisors to answer questions and help plan financial goals. This robo-advisory platform offers to manage your first $10,000 for zero investment management fees (you still must pay the underlying fund fees). Management expenses after that are 0.25% of assets per year. Human advice: A team of licensed counselors is available to answer simple questions via chat or phone. Funds are recommended by Morningstar. Clients can access quarterly snapshots and market commentaries, while Amazon Alexa and Echo can provide on-demand market information and educational resources. Human advice: In-person at any of 364 branches or phone access to a licensed financial counselor to answer questions and help plan financial goals. Each client receives individual personalized performance videos on a quarterly basis. Facebook Messenger and Twitter chatbots are also available. Tax-loss harvesting available for clients in taxable accounts. Human advice: A team of licensed advisors is available to discuss a range of topics related to retirement, savings, and investing. TIAA is a pioneer in socially responsible investing and has offered SRI funds to customers since 1990. Aimed at investors in their 30s and 40s, Wealthfront focuses on delivering fully automated investment management, financial planning, and banking-related services. WiseBanyan does not charge any investment management, trading, or rebalancing fees. But the robo does charge subscription fees for services like tax-loss harvesting and premium portfolios. MONEY evaluated roughly 50 of the top robo-advisors, focusing on those with at least $50 million in assets or more than 1,000 investors. Robos were judged on their average “all-in” costs — including management fees and the average cost of the funds — and the breadth and depth of their services. Front-runners were also judged on their onboarding process and digital experience. MONEY also looked at performance — specifically, two-year annualized returns for each robo’s balanced strategy that includes stocks and bonds, as tracked by the Robo Report. 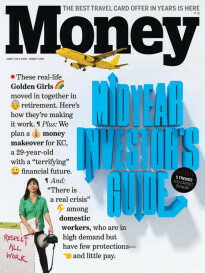 For beginning investors, robos had to have a low minimum ($500 or less), retirement account options, and auto-deposit. For intermediate investors, robos needed a modest minimum ($25,000 or less), a wide range of account options, tax strategies, and access to a financial advisor. For advanced investors, robos had to service accounts with $250,000 or less and offer access to a certified advisor offering personalized advice on all your holdings, including those held elsewhere, such as in a 401(k).